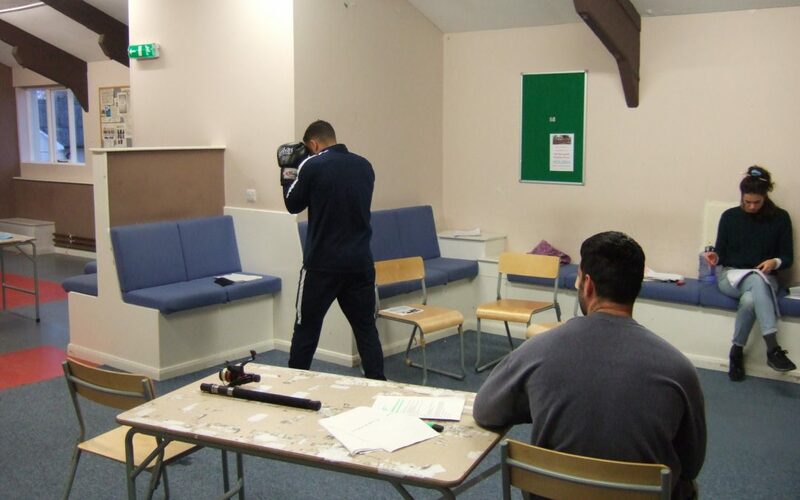 We are now in Week 4 of our second collaboration with HMP Springhill and The Royal Court Theatre, where men from HMP Springhill devise and perform their own play both to fellow residents from HMP Springhill and at The Royal Court Theatre in London. This year we have been lucky enough to have the writer Simon Longman on board to help them shape the piece. The result is Broken Dreams – When Life Gives You a Fish, a story about fatherhood, loss and social justice. When I first applied to be part of this Kestrel production I thought it would be a bit of a laugh, a diversion from the drudgery of prison life. I never realised just how hard this work would be!!!! But 4 weeks in and we are beginning to see the results of all that work. Arabella, Holly and Simon have somehow managed to convince us that not only are we in a play, but that we could come up with the storyline and perform it, not only at The Royal Court in London but here at Springhill, in front of a full house of prisoners which is a lot more scary for me!! It’s been a brilliant experience for me so far and hopefully in our last week we can pull it all together in time and not let anyone down. So back to rehearsing and we will let you know how we get on.